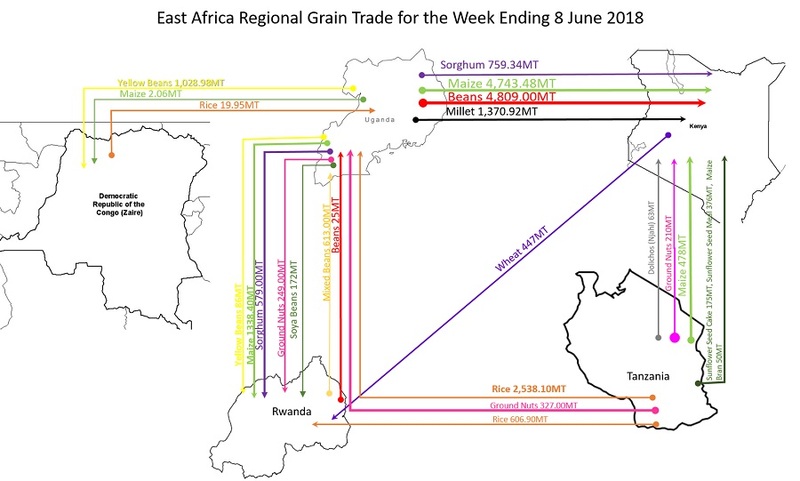 Unusual trade flows during the week was Uganda Yellow beans export to DRC (1,028.98MT). The prices of maize in the region continued to decline in Uganda, Tanzania, Kenya and Rwanda. South Sudan and Burundi had the highest wholesale price for maize. 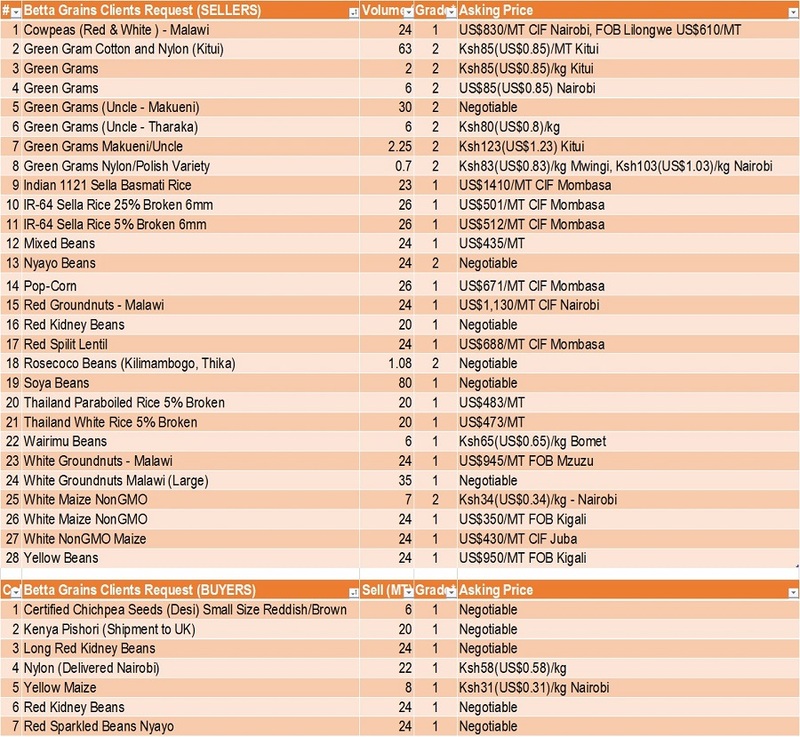 The farm gate price of pigeon peas continues to drastically fall in Kenya, and Tanzania.